MANILA -- The Japanese government is ready to provide "maximum possible assistance" to the Philippines, particularly northern Luzon, which was the hardest hit by Typhoon "Ompong" (international name "Mangkhut"). 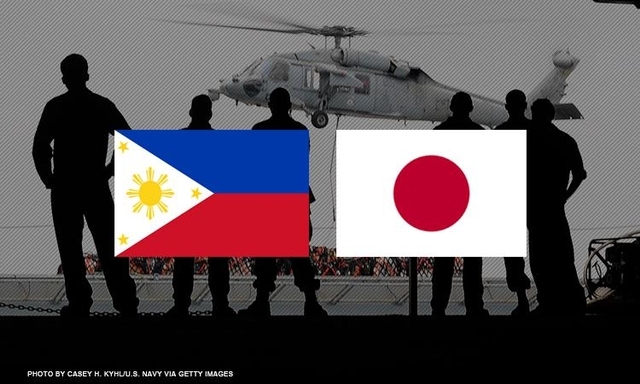 Through Department of Foreign Affairs Secretary Alan Peter Cayetano, Japan Minister of Foreign Affairs Taro Kono sent Japan's thoughts to the Philippines. “The Government of Japan stands with the government of the Philippines and its people and is ready to provide the maximum possible assistance to the Philippines," he said in a statement. "My deepest condolences are with the bereaved and I sincerely pray for the speedy recovery of the affected people as well as the prompt restoration of the affected areas,” he added. The international community has expressed support in providing aid to the Philippine government after "Ompong" severely damaged agriculture, infrastructure and property, aside from displacing hundreds of thousands of residents in northern Luzon due to flooding and landslides. Earlier, the United States, in coordination with the United Nations World Food Programme, has committed logistics support by providing 1,000 metric tons of rice to northern Luzon. Australia will also provide the Philippines humanitarian supplies for the emergency response, including sleeping mats, blankets, hygiene and shelter kits, for up to 25,000 people in the most-affected areas which will be distributed by the Philippine Red Cross. Meanwhile, the European Union, the Association of Southeast Asian Nations, and China also offered aid.